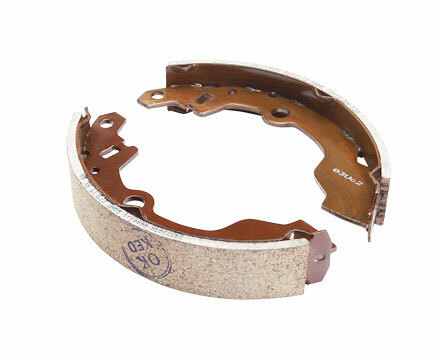 Brake shoes are a vital component of a drum brake. The drum brake is fixed to the wheel and turns with it. When the brakes are applied, the wheel brake cylinder forces apart the fixed brake shoes and presses them against the drum brake , inducing braking. The friction materials are widely tested & approved to suit various operation duty level. Superior special purpose machines to ensure consistent & stringent quality. Enhances pad / lining life.